Taco Tuesdays is very popular in Cleveland and seven days a week many residents indulge in tacos all over the city. Abby makes it a huge production every single week and she makes some the best tacos I have had anywhere(Put the gun down honey, please). Since The Cleveland Leader pays us a “hefty” salary for our stories, the general public will not be blessed with her tacos unless you are invited over on a Tuesday to sample her secret recipe along with iced cold Coronas with shots of tequila. That being said, Cleveland does have plenty of places to enjoy tacos and The Cleveland Leader has commissioned us to find out who has the best tacos in The Land. After several weeks of consuming obscene amounts of guacamole, salsa, chips and tequila, Abby and I were able to determine which restaurants in the Greater Cleveland Area serves the best tacos. Geographically speaking, it is surprising that Cleveland has so many venues that service high quality Mexican cuisine, which is one of many reasons why Cleveland is one of the most deceptively cool places on earth. Out of all of the various Mexican dishes that exist, tacos are my all time favorites. 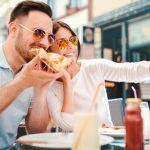 Whether you love hard or soft tacos, chicken, beef, steak, fish or shrimp tacos, all of these places are sure to please. Barrio is one of the city’s most popular restaurants. In addition to numerous locations, the Barrio Food Truck can be seen all over town spreading joy, guacamole, salsa, soft and taco shelled goodness. Their Build Your Tacos option puts you in the kitchen and allows you to design your very own taco with an intimidating list of options for taco shells, meat, cheese, toppings, salsa and sauces. My personal favorite is the Green Goodness tortilla with chicken and shrimp, Western Reserve Smoked Cheddar with Red Cabbage, Pineapple Salsa with the Barrio Secret Sauce. Recently voted Top Ten Taco Stands in America, one of the 216’s best kept secrets is out in the open. The fact that they have a weekend brunch is just unfair. Known as the first mexican restaurant in Cleveland, La Taqueria has been serving up delicious mexican food for over 60 years. Uber and Skip The Dishes drivers have delivered their food to Shaker Heights and beyond every week for its legions of loyal customers. 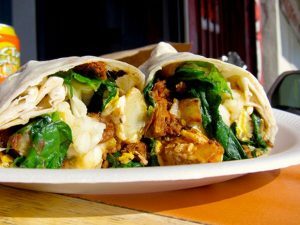 If this article was called Best Burritos in Cleveland, La Taqueria would be at the top of the list as they have arguably the finest burrito selections anywhere. With almost a dozen different salsas, you are sure to experience tacos on another level. Maya has perhaps the most lit(That is what the young people are saying these days) Taco Tuesdays in Cleveland. 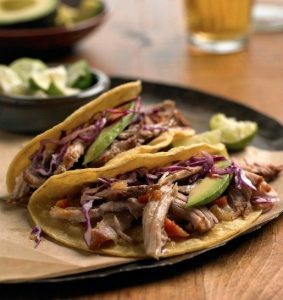 For a mere 99 cents per taco you can indulge all day as well as $2 bottled beers and margaritas. An ardent eastsider such as myself made the Lord of the Rings type trek (ok, I went across the I480 bridge) to see what the fuss about. I can tell you that I have come back time and again after my first taco. 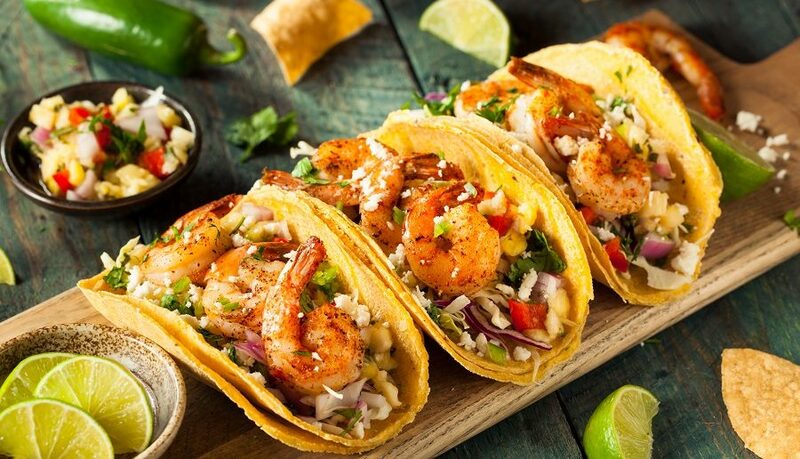 Recently voted Best Mexican Restaurant in Northeast Ohio, Maya Mexican Restaurant has catering available for your private parties and workplace outings. When April 25th is declared “Los Arcos Day” by the mayor of the city you conduct business, you must have outstanding tacos. This is exactly what happened as University Heights Mayor Susan Infeld created this holiday to honor Los Arcos last year. Losa Arcos has a full line of Mexican cuisine but thier tacos are just exquisite. With seven different meats such as carnitas, tilapia, shrimp and steak, Los Arcos continues to be the El Jefe of Mexican restaurants in the Heights area. My favorite taco there is the shrimp taco. Don Ramon’s is one of the best mexican restaurants in Cleveland. The servers are very friendly, the margaritas are tasty, strong and the salsa is top quality. The tacos are simply amazing. Like many of the best Mexican restaurants in town, Don Ramon’s has a full offering of entrees. Their tacos however are something special. The Taco Loco for example, reminds me of something that you see on social media short clips where people show how to make over the top meals. This masterpiece has grilled chicken, beef shrimp, mushrooms, zuchini, tomatoes, rice and cheese all in a warm tortilla shell. Abby had to help me eat it. I felt guilty at first, but the guilt was quickly gone when I ate a second one and washed it down with a margarita. With three area locations, Don Ramon’s is sure to please and is close by. For over 14 years, Senorita Bonita’s has been one of Solon’s favorite places to eat as well as one of Greater Cleveland’s finest mexican restaurants. The tacos have fans come from all parts of Cuyahoga, Portage and Geaugu counties to savor their potent lineup of tacos. My personal favorite is the Tacos Al Carbon that has grilled chicken, black beans, corn, pineapple and cilantro. Abby loves the Avocado Lime Fish Tacos that has tilapia, lettuce, cheease, pico de gallo and avocado. I have spent many summer evenings on the patio devoring tacos and cocktails with friends and coworkers after a long day of work. Who are the Top Rhinoplasty Surgeons in Cleveland?